With World AIDS Day right around on the corner on December 1st, there’s no better time to reflect on the progress to date and the work that lays ahead to end the epidemic in our lifetimes. Your charitable contribution helps AVAC to continue what we do best—advocating for comprehensive, integrated and sustained HIV prevention. In our recently released AVAC Report 2018 – No Prevention, No End we look at the challenges that frustrate efforts to bring down the number of new cases of HIV and propose concrete solutions to address these challenges. Confronting these issues is a necessity. The world is not on track to bring down the rate of the new cases fast enough to achieve goals for epidemic control by 2020. It’s a call to action, and AVAC is answering the call with timely updates from the field, educational materials that help advocates shape the conversation, deep collaboration with partners around the world to accelerate programs, and thoughtful messages that keep pace with the rapidly evolving field. In all this, AVAC puts human rights, sexual and reproductive health, choice and investment in research and development at the center of the conversation. Amazon Smile: Shop at Amazon.com? 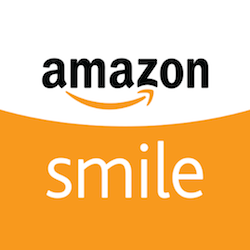 Visit smile.amazon.com and select AVAC as your charity of choice and a portion of your purchase price is donated to AVAC—at no additional cost to you! US Combined Federal Campaign: If you are a US government employee, support our mission through the Combined Federal Campaign, CFC #12308.